Gaze upon the most beautiful thing there is. 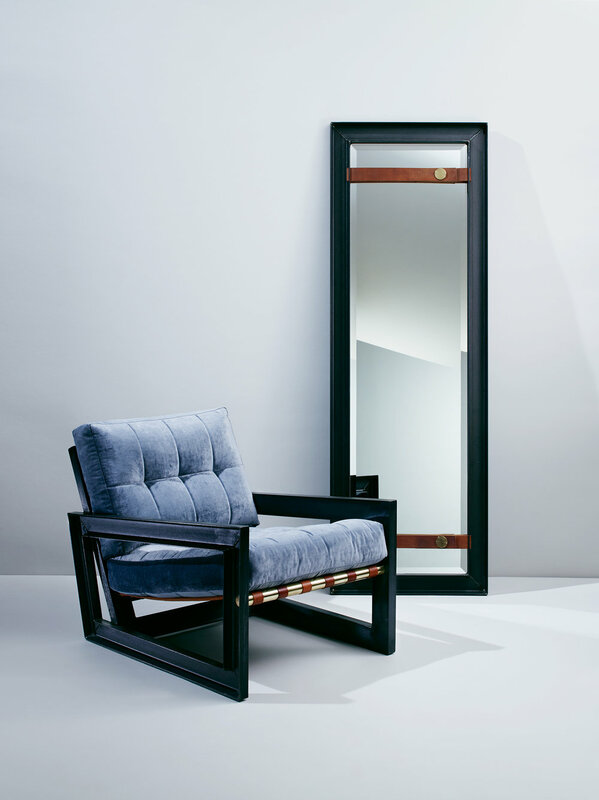 This full-length mirror echoes the PS1 Chair's styling, with acid-etched steel, and brass button details on hand-dyed leather straps that frame our wide-beveled mirror. The perfect pair - twin curves that meet twin points, and can face you in either direction. 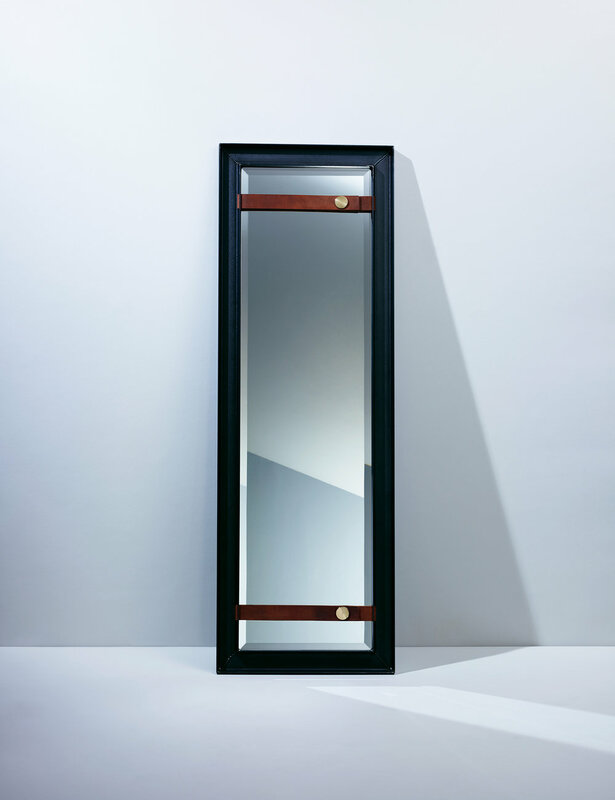 This elegant and uniquely-shaped double teardrop mirror is shaped and bent by hand, then powder-coated in your choice of colors. 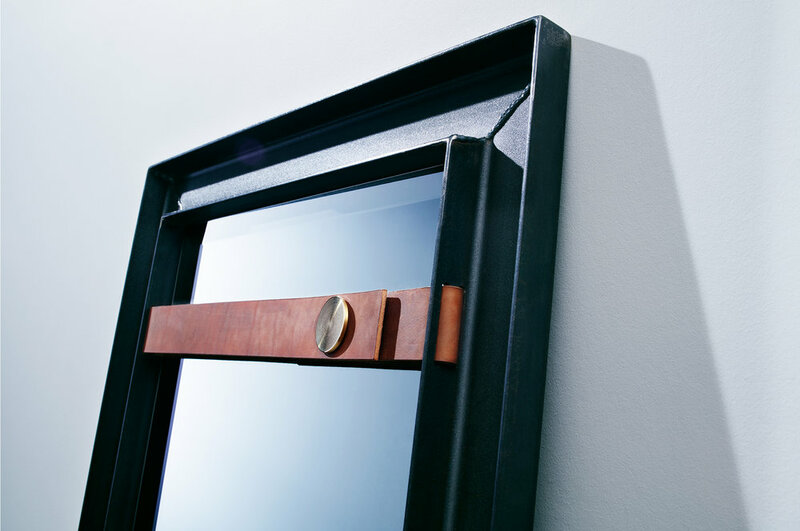 Rotate and mount the Double Curve Mirror in the direction of your choice, either vertically or horizontally. Prefer it in raw steel? We can do that too. Dimensions : 36" x 21"